Thirty years ago, Seagate’s factory in Ensenada, Baja California was in an isolated location. However, local population growth has led to the spread of a surrounding neighborhood filling up with houses, apartments, and shops right up to the walls of the factory. During the last 5 years, for the first time we have neighbors … and these neighbors were complaining about smells. Seagate processes over 20 different raw materials in this factory. Some have pleasant smells such as lemons and seaweed and some can be very strong, especially the fish products such as sardines and shark cartilage. The freeze-drying process vents the moisture from the products which include organic vapors into the air and therefore into the surrounding new community. The odor complaints were causing us to restrict the processing of our fish-based products to the middle of winter, when the cold air limits the transmission of smells. The heart of the problem is shown in the photo above. The vacuum pumps pull the moisture out of our processes and vent the vapors into the atmosphere. 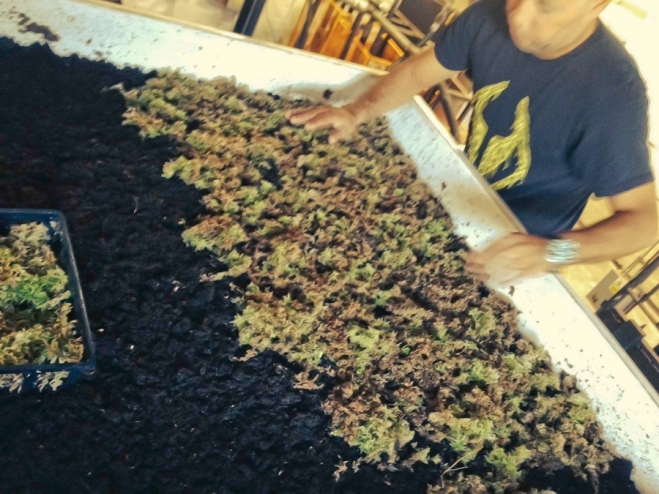 We solved the problem by installing a 10′ x 6′ tank under the roof of the factory and filled it with sphagnum moss over a bed of peat moss. 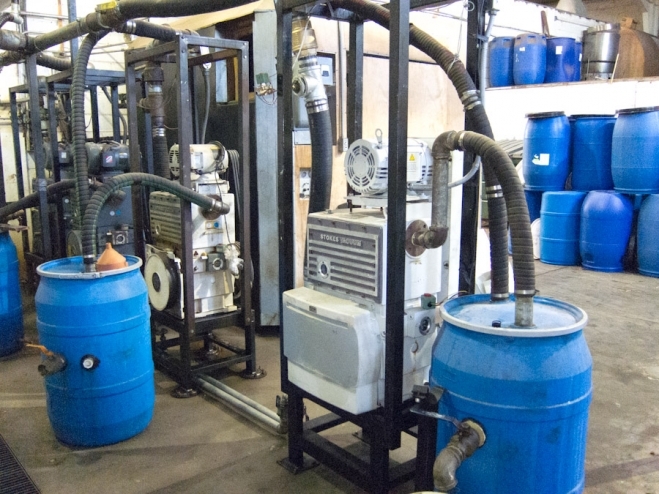 The organic gases that are discharged from the vacuum pumps pass through the bottom of the biological filter and percolate upwards through the peat moss and sphagnum moss. The bacteria colonies residing in these two moss layers digest the organic vapors. 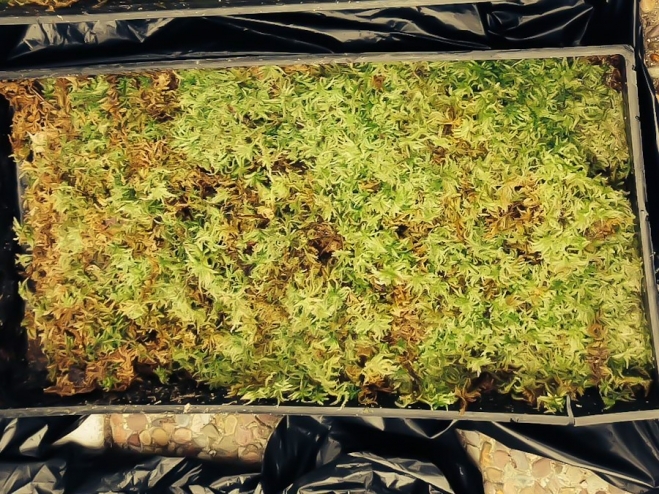 The sphagnum filters out and absorbs any other contaminants along with the smell resulting in zero emissions and zero discharge other than oxygen and water vapor. This is a living, breathing natural filtration system that has proven 100% effective. The discharge from the filter is released inside the factory. This biological filter is capable of processing up to 80 cubic feet per minute with 100% efficiency at eliminating odors. Seagate is able to process any fish-based product during any month of the year without any fear of complaint from our surrounding neighbors. The only cost of maintaining this filter is daily irrigation of these plants with water and a little sunlight.